It's the Côte d'Azur without the attitude. 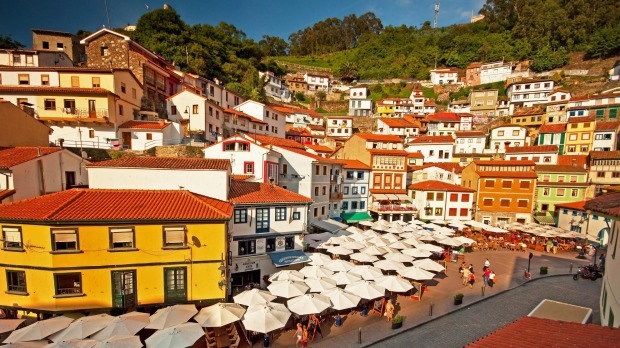 Nice stitches together so much that you expect of Europe – a beautiful old town, great art, an intricate history – but combines it with arguably the continent's finest seaside promenade. The stony beach commands all the attention, but behind its back are a couple of Europe's best small art galleries and a gorgeous old town that betrays the fact that this French city named after a Greek god (Nike) was part of Italy until 1860. The lanes of Nice's old town, Vieux Nice, are like slot canyons dropped between shuttered Italianate buildings – burrow your way into Place du Palais de Justice and you'd swear you were in Italy. Visit the open-air food market on cours Saleya for a visual and olfactory treat, then climb the stairs (or take the free lift) up the rocky Colline du Chateau promontory. A sign at the bottom promises one of the world's great views – keep expectations a little more realistic and you'll find a mighty fine outlook over the bay and Nice's rooftops. Front view of the Mediterranean sea, bay of Angels, Nice. If you want to be seen, or just see, in Nice, a strut along the seaside Promenade des Anglais is compulsory. In summer the four-kilometre-long beach beside it is a mosaic of umbrellas and bodies lying on the flat stones. If you tire of the walk, the promenade is lined with stations for the city bike-hire scheme, so you can pedal back on its dedicated bike path. 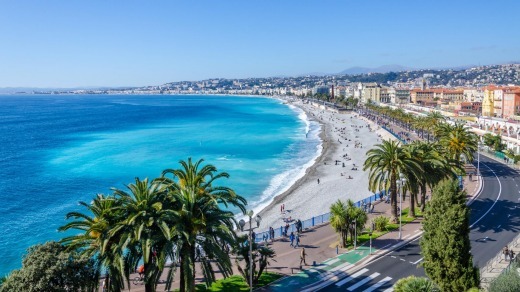 Expect to pay around €20 a day to bake among the beautiful people on Nice's private sections of beach, which offer up sun loungers, beach umbrellas, meals and drinks. If the stones are good enough for you, there are 25 sections of public beach slotted in between. Andrew Bain was a guest of UTracks.